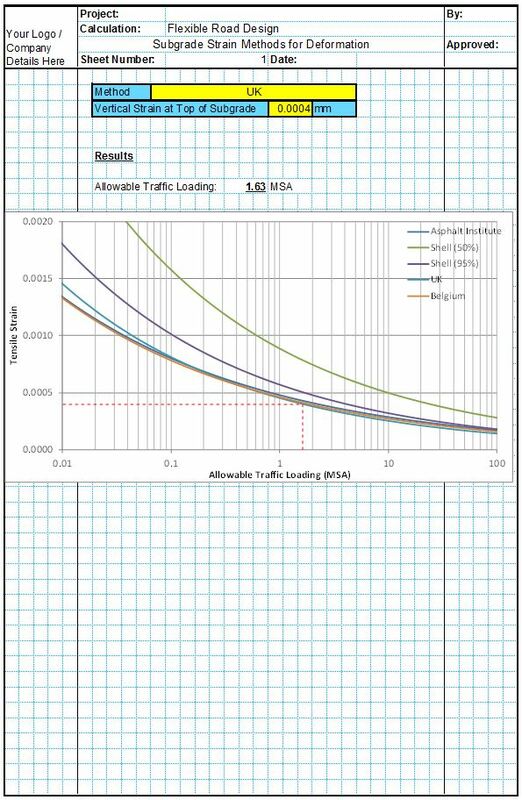 This spreadsheet calculates the design maximum allowable traffic loading for an asphalt pavement using one of five empirical formulas. 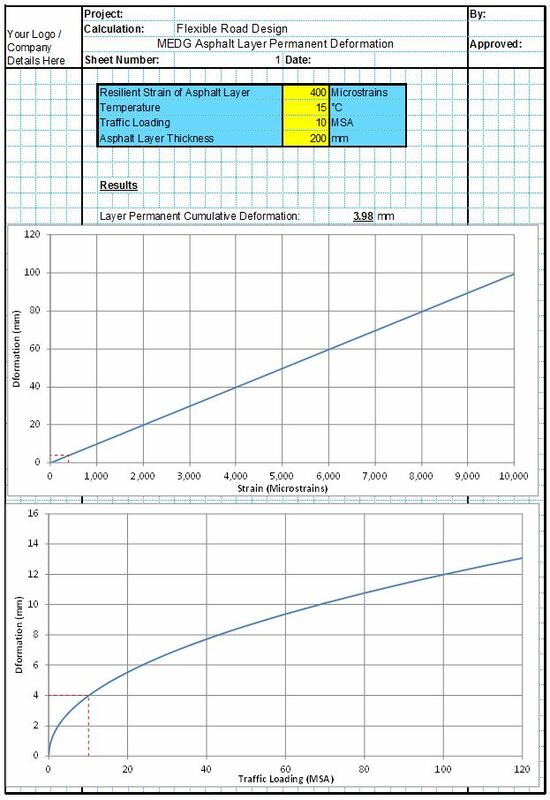 This can be used in conjunction with an elastic analysis program such as our Elastic Analysis Tool. 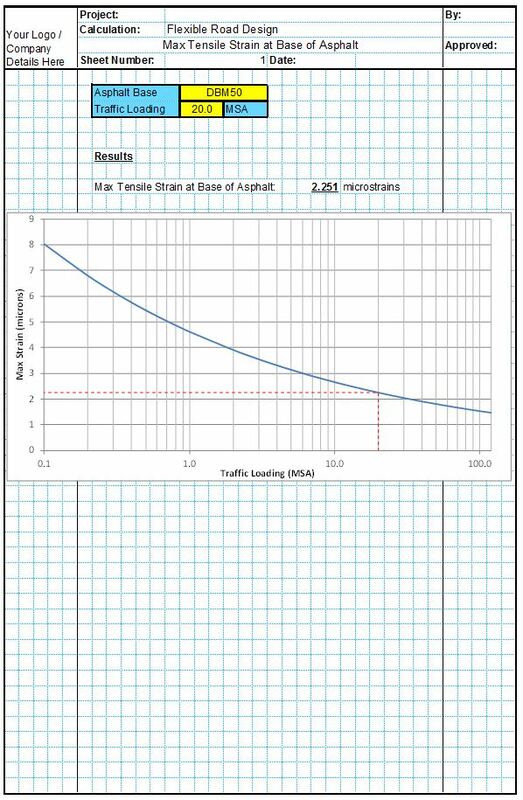 The spreadsheet calculates the design maximum allowable traffic loading in accordance with empirical standards from either the UK, Belgium, Asphalt Institute or one of two Shell formulas. 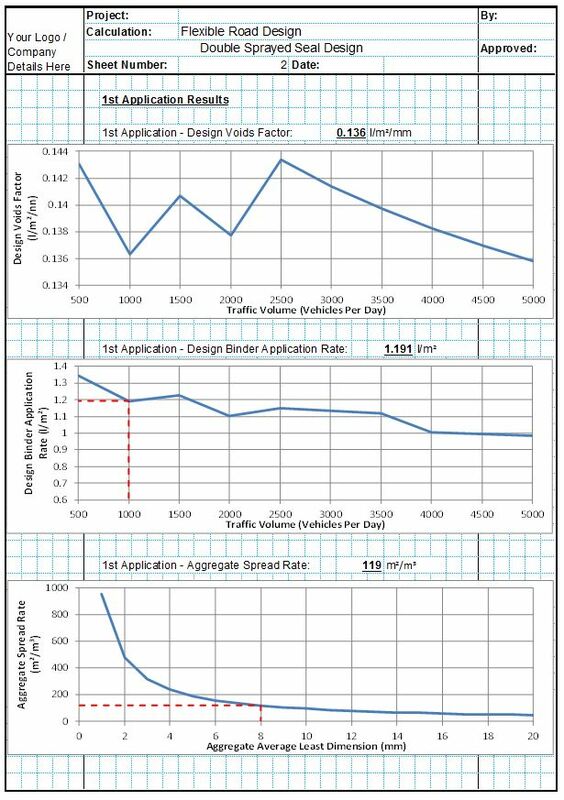 The spreadsheet takes user inputs for the strains imposed on the asphalt under loading. 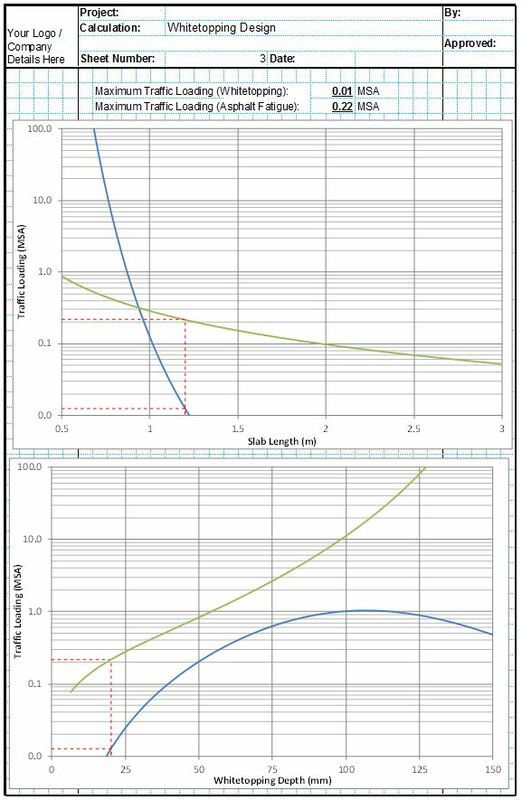 These strains can be calculated using an elastic analysis program such as our Elastic Analysis Tool. 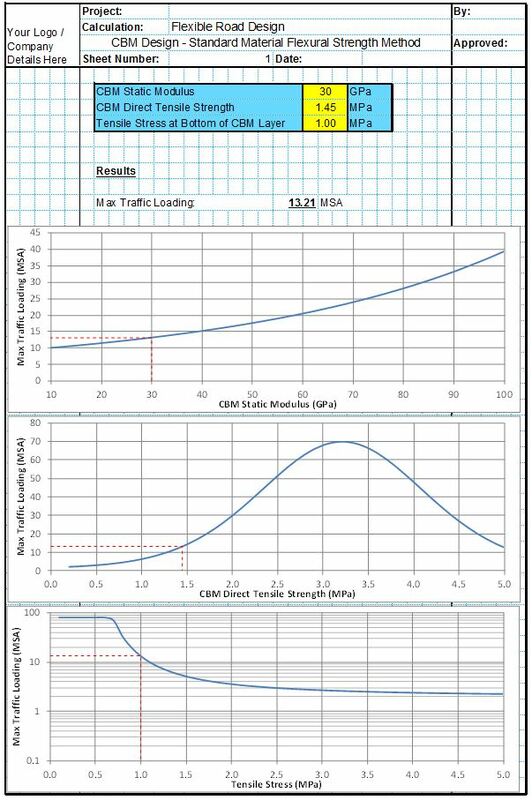 It then calculates the maximum allowable traffic loading in accordance with the chosen standard. 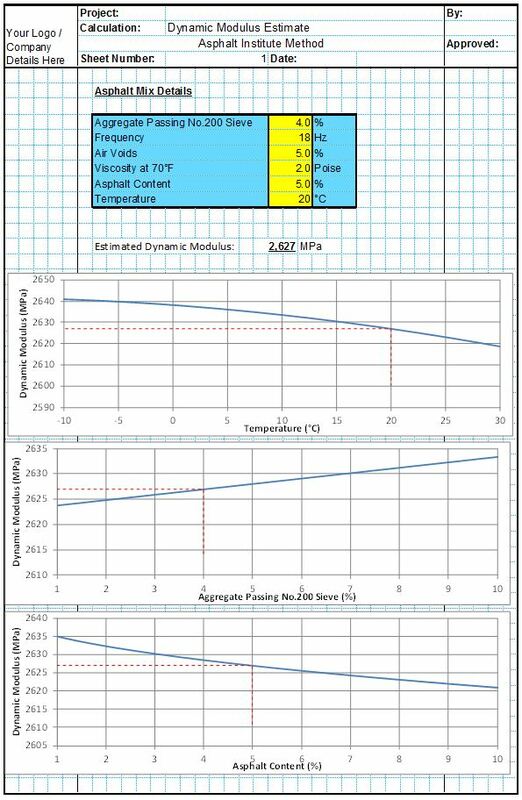 The spreadsheet also includes a unique tool allowing the user to see the effects of different strains and different standards. 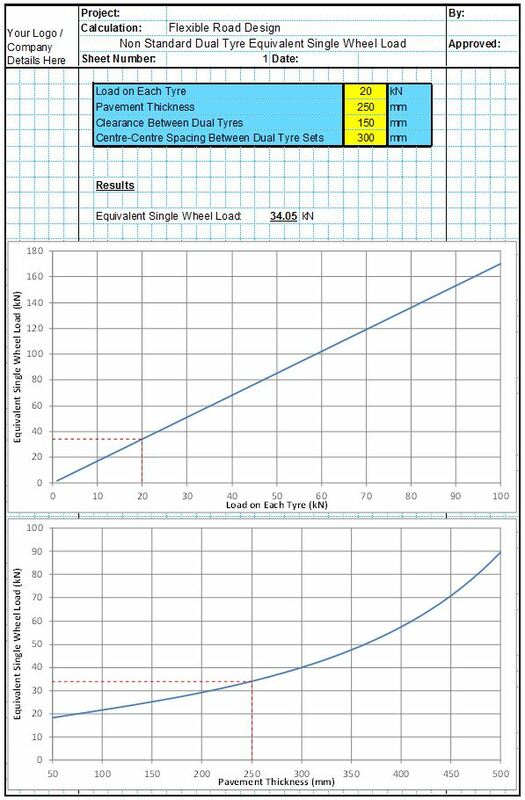 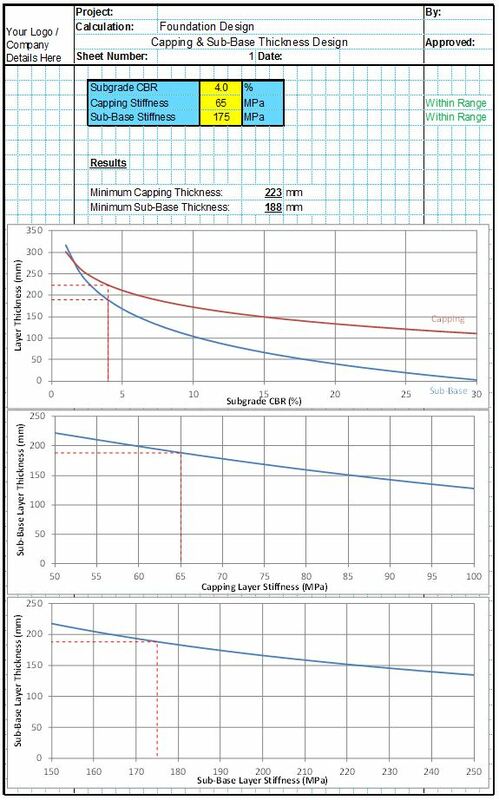 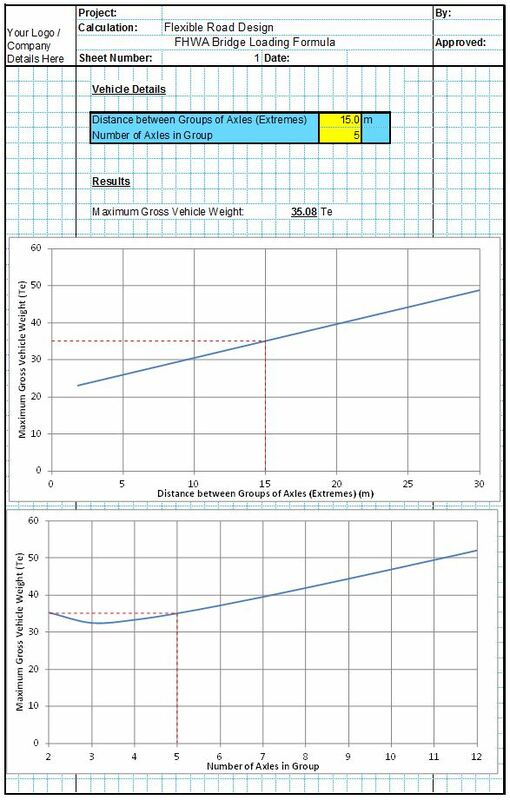 Used in conjunction with an elastic analysis program this makes it easy for the user to calculate the design maximum allowable traffic loading for different flexible pavement designs. 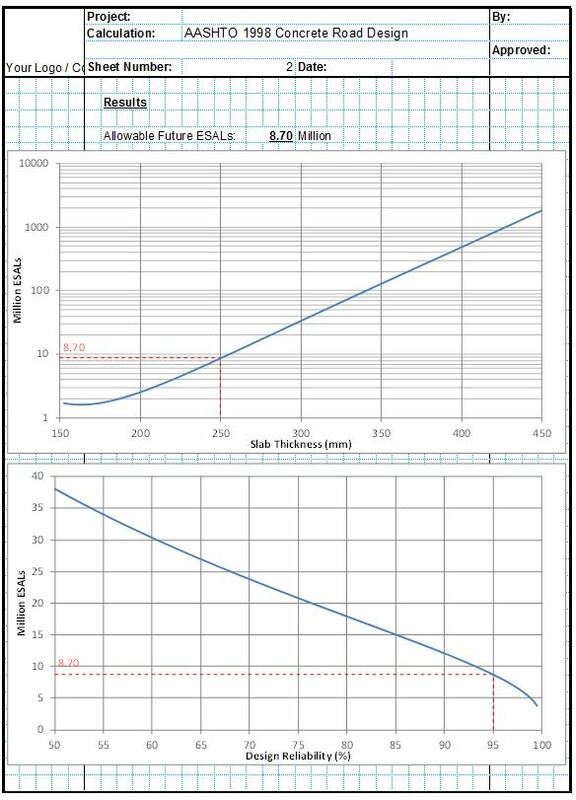 Flexible Road Structural Design Spreadsheet - Deformation (Subgrade Strain Methods) Spreadsheet.